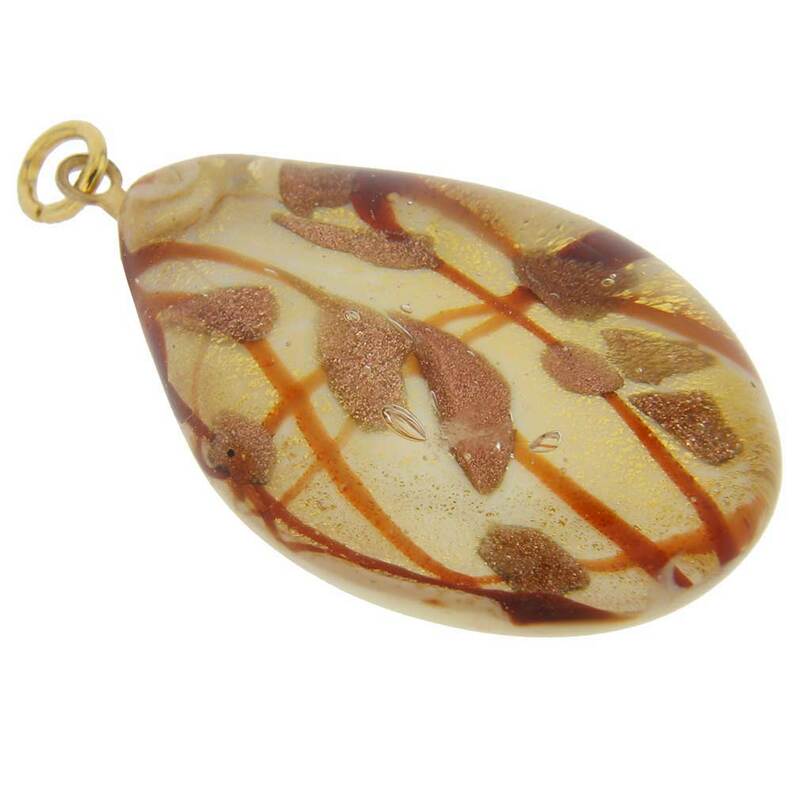 The Murano pendant measures 1 3/8 inches in length and 7/8 inches across in its widest part. 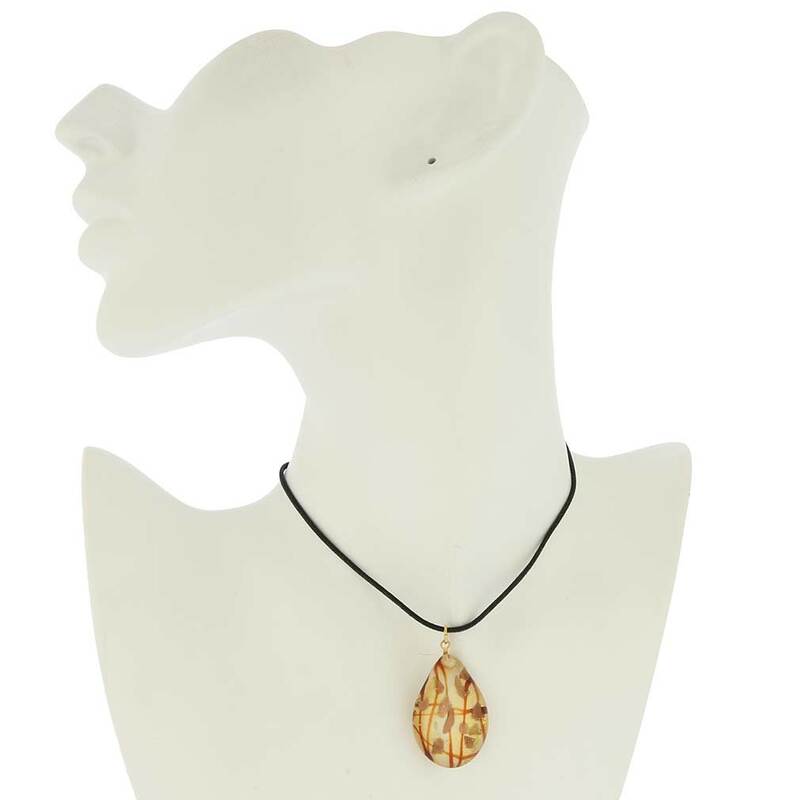 The pendant comes with an attractive pouch and the certificate of authenticity. Got this for my wife as part of anniversary gift. 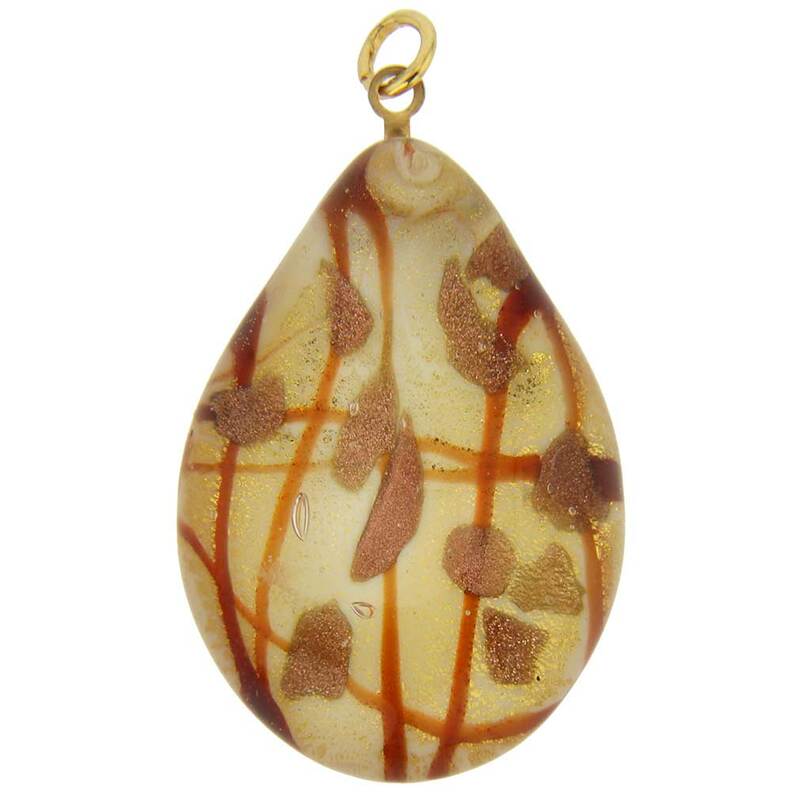 She loves it, great looking pendant. I am very happy with this pendant. It'll match a number of solid colors. Is also a nice size, a little bigger than the size of a quarter.